Ever since I was little I loved tales and movies about mer-people, especially Disney's The Little Mermaid. There is something magical about shimmering tails and underwater palaces that make me think mermaids must have more fun than humans. My daughter is only two and so far the only movie that she wants to watch is Disney's Peter Pan. One of my favorite scenes in the movie is when Peter tells the children to think happy thoughts in order to fly and Wendy thinks of mermaids or when Peter takes Wendy to Mermaid Lagoon. 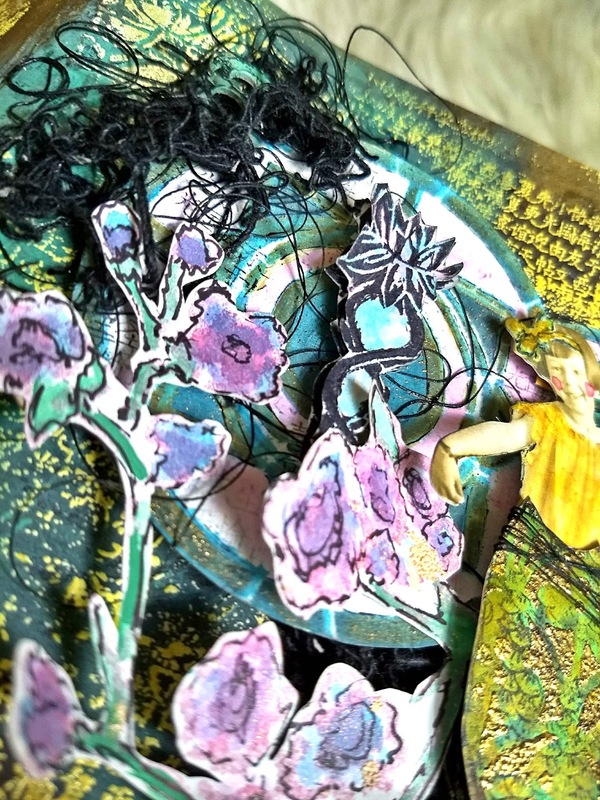 Although the mermaids in this cartoon are jealous, they are the epitome of everything that I envisioned these mythical creatures to be- ethereal, mysterious and playful. 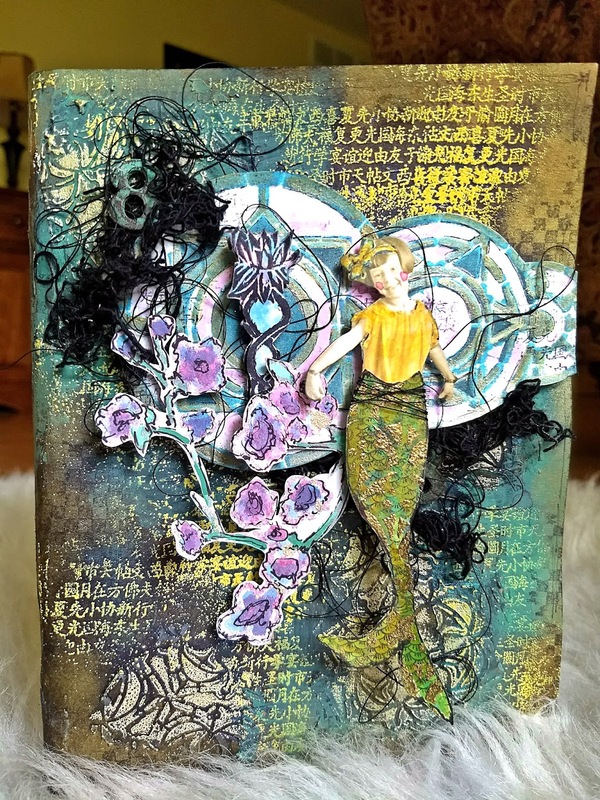 Many standpoints tend to dwell on the more devious side of mermaids and I did dedicate one layout in my Mermaid Art Journal to these creepy mermaids. 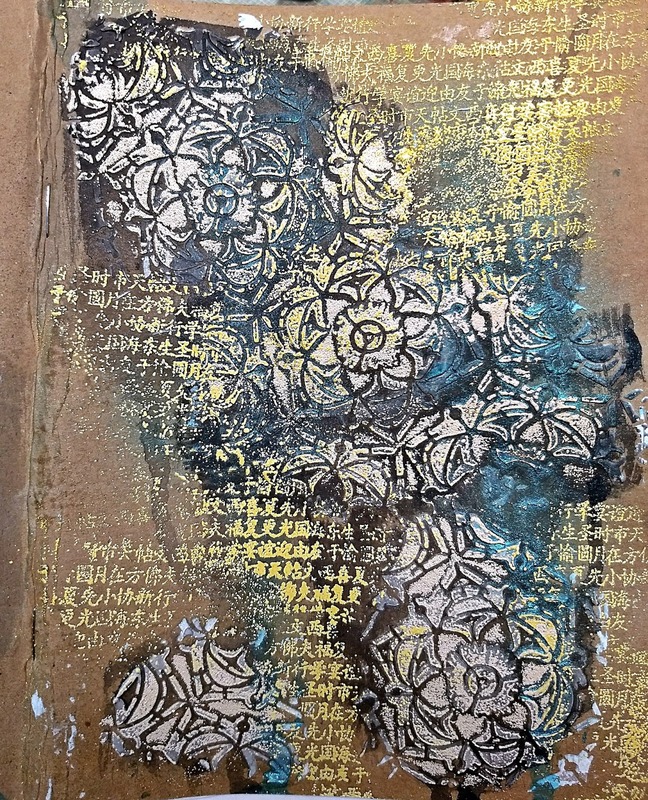 This cover completes my mermaid journal and I have started off by stenciling the Decorative 6-Petal Flower Screen in grunge paste. 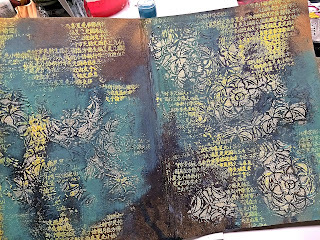 I painted, sprayed embossed and stamped in the background. 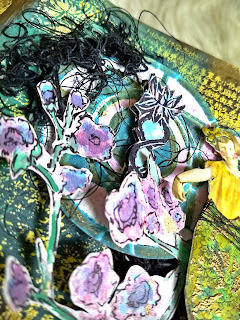 More color was added to achieve the look that I wanted. 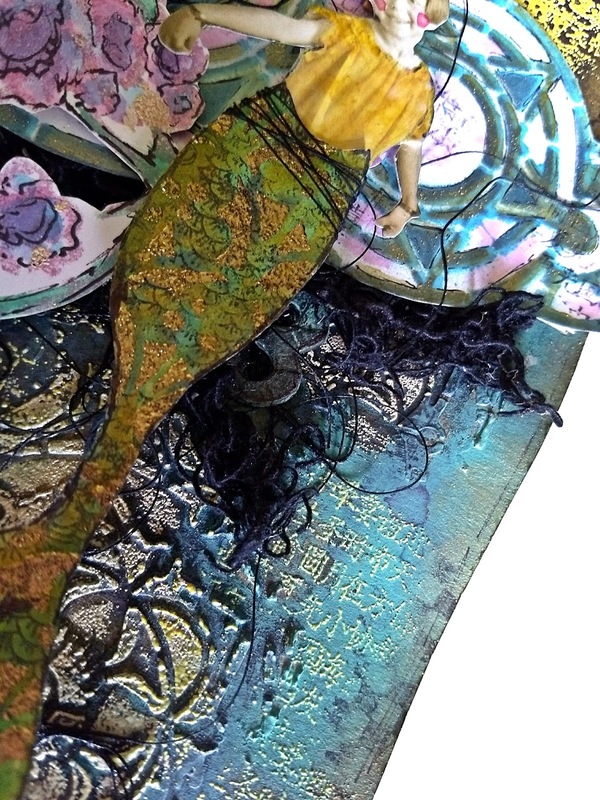 I embossed the Ornamental Flower Screen over top the mermaid tail. 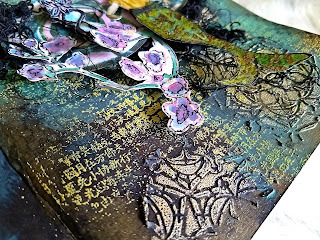 I used Gwen's new Chinese Garden Plum Blossoms as well as her Art Deco Borders to embellish the cover. For this project, I challenged myself to not only use as many stencils as possible, but also to use stencils as embellishments Don't be afraid to use those stencils for more than just a background! 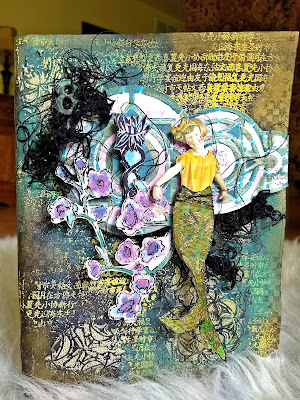 You can see the rest of my Mermaid Art Journal on my Blog. And you can visit me on FaceBook, Twitter, and Pinterest. 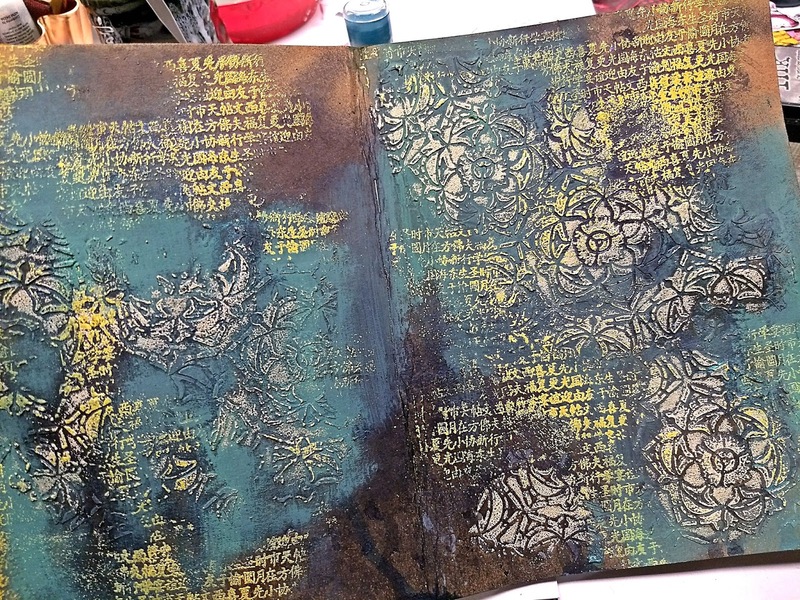 I love the variety of mermaids you have throughout your journal - and very nice use of stencils throughout, too. 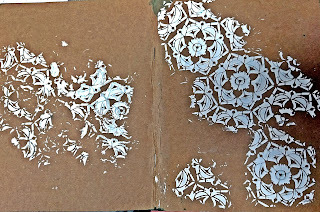 Thanks for sharing your techniques! Simply AMAZING dear Kate --- WOW!!!!!! 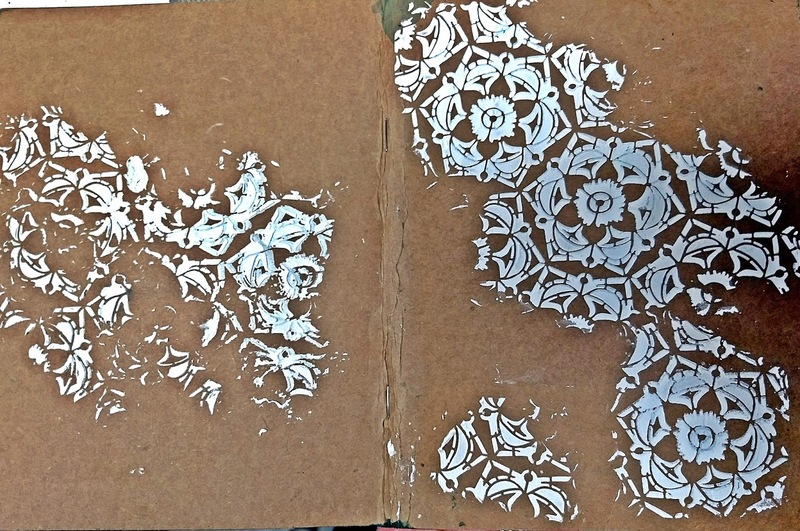 Lovely, Kate! 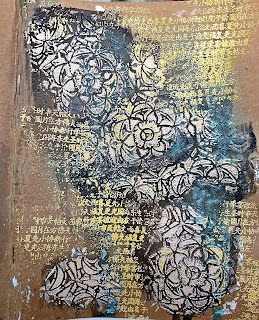 I like the tip about using stencils as embellishments. 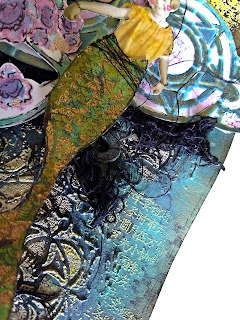 Such beautiful work from Kate - stunning use of colour and texture - a magical mermaid cover.